MACHIASPORT, Maine -- The nation's opioid crisis has hit hard in Maine, where at least one person died every day last year of drug overdoses. It's also penetrated the state's lobster industry. Some fishermen are suffering in silence in a community that rarely asks for help. Josh Kane has spent more than 15 years fishing off the coast of Maine. For 10 of those years, he struggled with an opioid addiction as his fellow lobstermen looked the other way. "It's one of those things that's kind of like, 'Don't ask, don't tell,'" Kane said. "As long as you show up every day and do your job, nobody is really going to say anything." They're a tough, proud and private bunch with grueling hours and serious, physical demands. But the payoff can easily be in the six-figure range for the short summer season. Is Trump keeping his word on opioids? Economist Charles Rudelitch says much of that money is going up in smoke. "We know that millions of dollars of income that otherwise should have been spent in our coastal communities is being lost to heroin and diverted to prescription drugs," Rudelitch said. 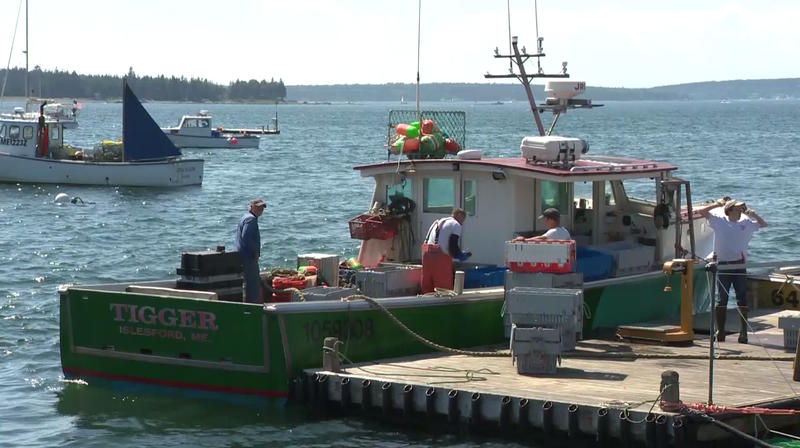 In Washington County, economic leaders say the impact of the opioid epidemic on the lobster industry could easily affect an entire generation. "If you look around a coastal town, you have a sense of the value of the catch coming in," Rudelitch said. "That new roof, that investment, that should have come from a series of good years, just isn't." According to Maine's chief medical examiner, 376 people died of drug overdoses last year. The vast majority of deaths were from opioids. Kane eventually got help and hasn't abused painkillers in seven years. He now works with a local treatment center where a third of the clients are fishermen. "Asking for help is perceived as a weakness," Kane said. "If we break a finger out here, we're supposed to just shrug it off. And then to admit that something's got you beat and held down, that's just hard for a fisherman to come to terms with." Working side by side, he hopes to reach a community that's used to navigating troubled waters alone.